This home was built by a local builder for his parents on a quiet cul de sac for year-round living. 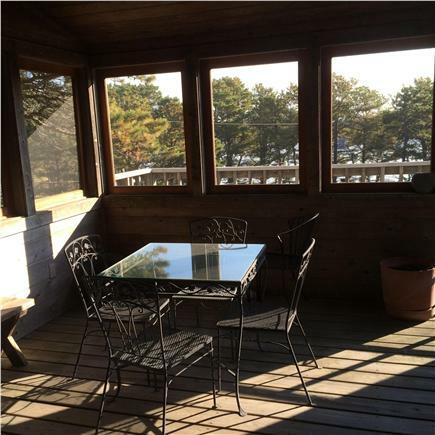 In summer, make use of the large outdoor deck and sleeping porch for grilling, eating, and relaxing. 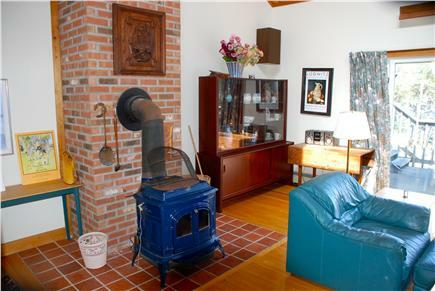 In winter, stay warm by the wood-burning stove in the large, comfortable living room. The airy open main level comprises a kitchen equipped for gourmet cooking open to the large living room and breakfast area and separate dining room. 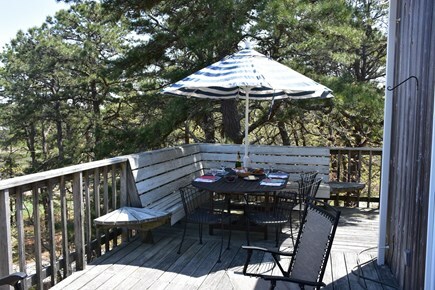 A large deck out through the sliding glass doors overlooks the water view of Drummer Cove and includes a large table with umbrella and barbecue grill. 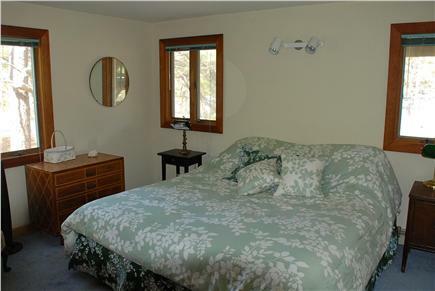 The upper level is a master suite with ample storage, queen bed, and private bath. 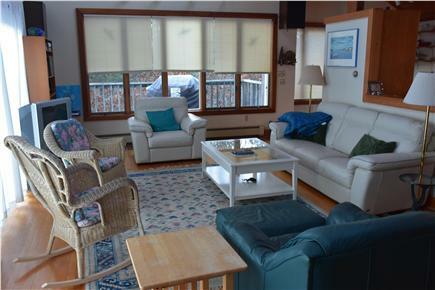 There is also a screened-in porch with stairs to the main deck. 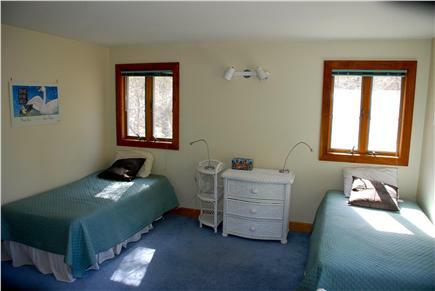 The entry level has a king bedded room and twin bedded room and the second bath. 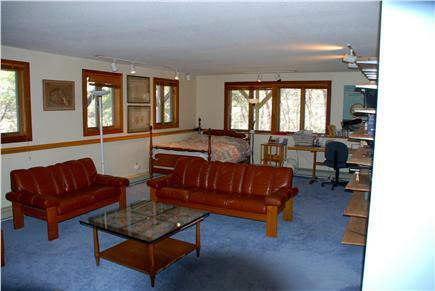 The lower level, which is above ground with windows on two sides, has a full size bed and seating area. The laundry is also located on this level. There is a private outdoor shower and a large water heater so everyone can get their shower after a day at the beach. 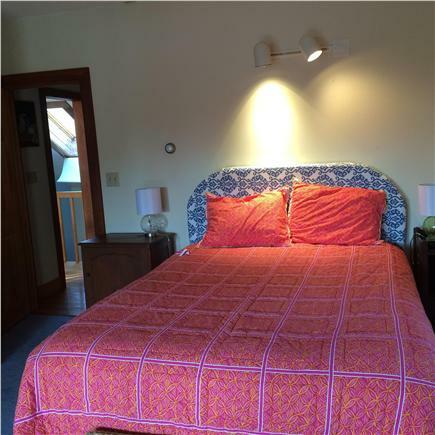 While the house is not air conditioned, there are fans for every room and a large ceiling fan in the living room. Trash pick-up is twice a week from the house—no need to carry the cans to the street. 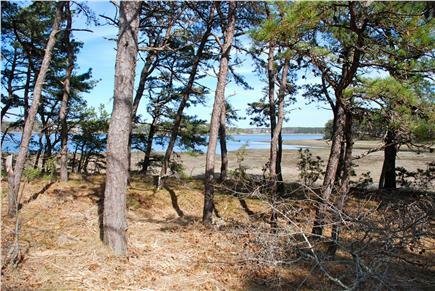 Alison's home is located on a quiet private road with a view through the trees of Drummer’s Cove and a short walk to a beautiful private beach. When the tide is low you can see shell fishermen working and you can take beautiful morning and afternoon walks seeing only an occasional fellow walker. Great beach for morning meditation. When the tide is high, you can swim in clear water that is so high in salinity you hardly have to work to keep afloat. The house is lovely and well stocked. 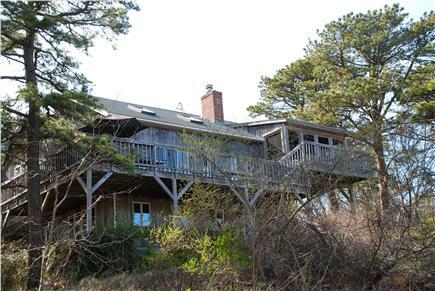 We enjoyed the screen porch and the quiet master bedroom at the top level. The living room and kitchen are much larger than they look in the photos and the living seating was comfortable. 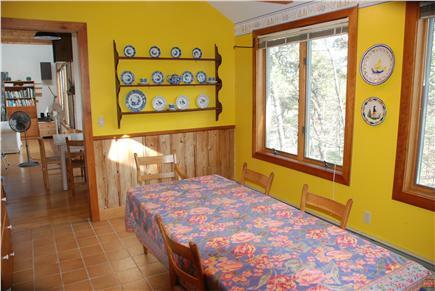 The dining room is charming and we enjoyed family dinners, viewing the stars and watching the moon rise on the large deck. Alison was always accessible and easy to communicate with throughout our visit. When there was a problem with an appliance, she quickly had someone out to take care of it for us. We had a great two-week stay. Thank you for your positive review and come back next year! We had a great vacation. 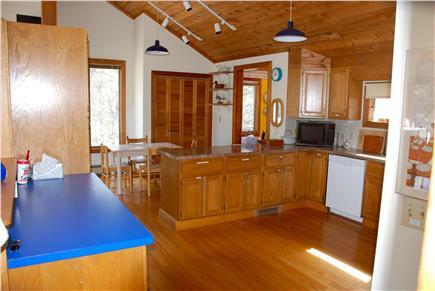 This home is very roomy and has everything one would need. Another plus is everything is labeled so it is very easy to find things. 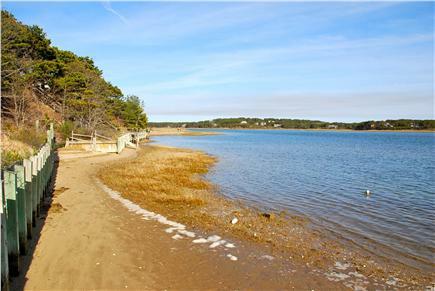 We have stayed in Paine Hollow before, and it is a very nice and quiet area of Wellfleet. Alison is very responsive and great to work with. We rented this home for a three-generation family gathering over Thanksgiving. The house is light and airy, warm and welcoming. 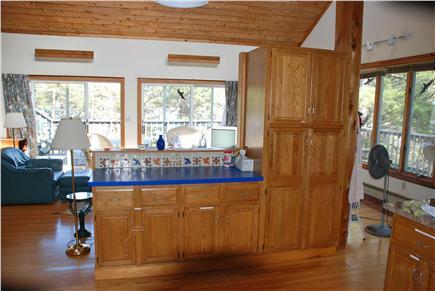 Great kitchen, well stocked with cooking supplies and dishes. It was clean and perfect; we'll be back.